We have a clean, germ-free environment, with an organized and efficient staff. Our hours are flexible. We prefer appointments to avoid unnecessary wait times, however walk-ins are welcome and we can accommodate driver groups as well as same day appointments. "We offer competitive pricing with unmatched innovation! Our goal is to get drivers in and out as quickly as possible." he goal of the National Registry program is to promote and preserve the highest level of professional standards of training and care among medical examiners. To further that goal, the National Registry program requires that medical examiners performing CMV driver examinations be trained and certified. Improve highway safety and driver health. Ensure that medical examiners understand FMCSA medical standards and guidelines, and how they apply to CMV drivers. Maintain ongoing competency of medical examiners through training and recertification. 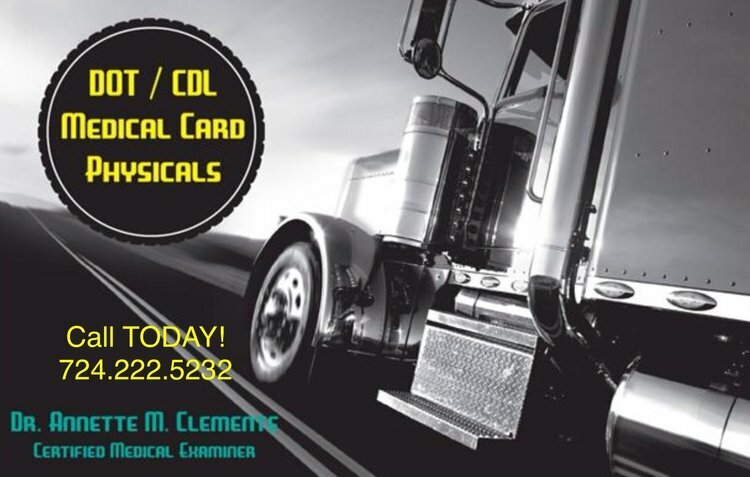 Promote confidence in the quality of the physical examinations of CMV drivers. Establish an online list of certified medical examiners.